St. Andrew's-Sewanee School is an independent, non-profit, educational institution. The School is governed by the Board of Trustees which has responsibility for policy-making and sound management as put forth in the School's by-laws. Trustees serve a three-year term. The Head of School, a member of the Parents' Association, the Bishop of the Diocese of Tennessee, a member of the Alumni Council, a member elected by the faculty, and the Past President of the Board serve as ex-officio Trustees. The Head of School serves as the chief executive officer of the School. There are nine permanent committees of the Board of Trustees: Audit Committee, Buildings and Grounds Committee, Committee on Trustees, Development Committee, Enrollment Committee, Executive Committee, Finance Committee, Head of School's Committee and Investment Committee. The Parents' Association consists of all parents or guardians of St. Andrew's-Sewanee students. A member of the Parents' Association sits on the St. Andrew's-Sewanee Board of Trustees. 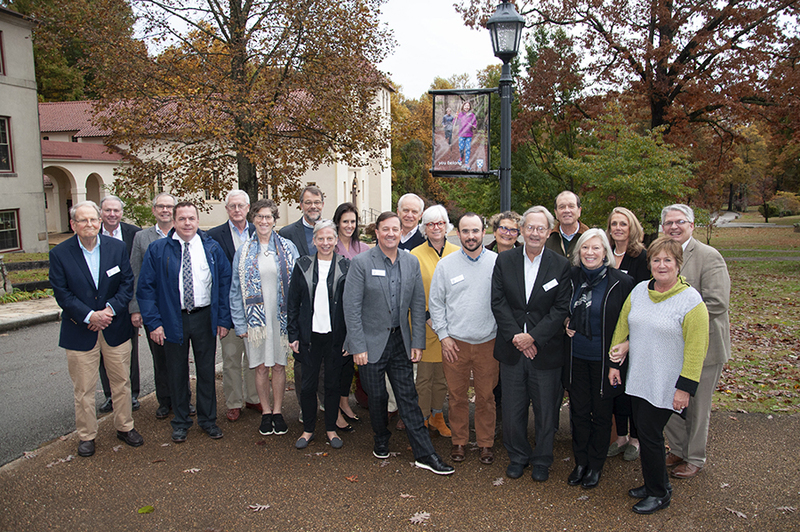 The Alumni Association comprises all former students of St. Andrew's-Sewanee School, St. Andrew's School, Sewanee Military Academy, Sewanee Academy, and St. Mary's School. The Alumni Council, which consists of the officers of the Association and at least four other alumni, totals a minimum of seven members. The Council elects three officers who serve two-year terms in each position. A member of the Alumni Council sits on the St. Andrew's-Sewanee Board of Trustees. St. Andrew's-Sewanee School does not discriminate on the basis of gender, religion, race, color, or national and ethnic origin in the administration of its educational policies, admission policies, scholarship programs, athletic or other school-administered programs.